The most important ingredients in this recipe? The seasoning! The truth is, you could use any combo of spices and flavorings you'd like, but I really loved the combo of black pepper and Parmesan cheese. I also added in some cayenne and smoky paprika for a hint of heat. 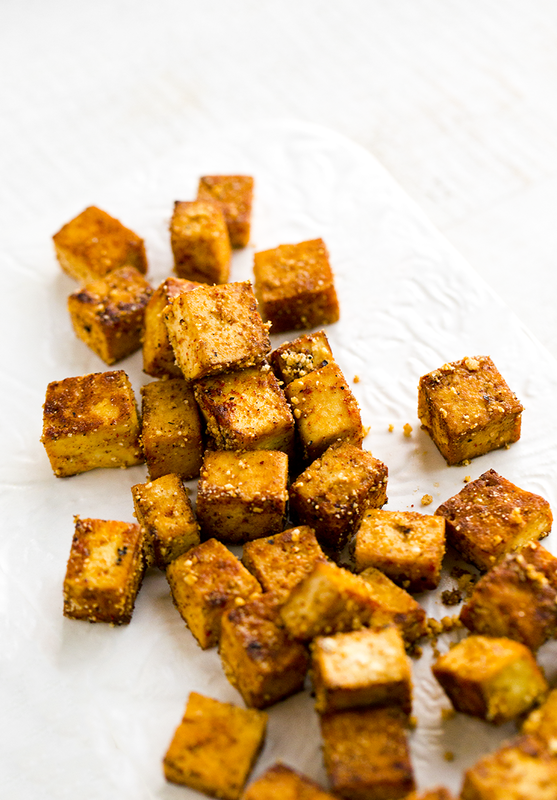 Adding in a small touch of sweetener is a good idea for caramelization of the tofu edges and to help tone and sharpen the savory flavors. As usual, salt these cuties to taste. * Make sure your pan is nice and hot when you add the tofu. 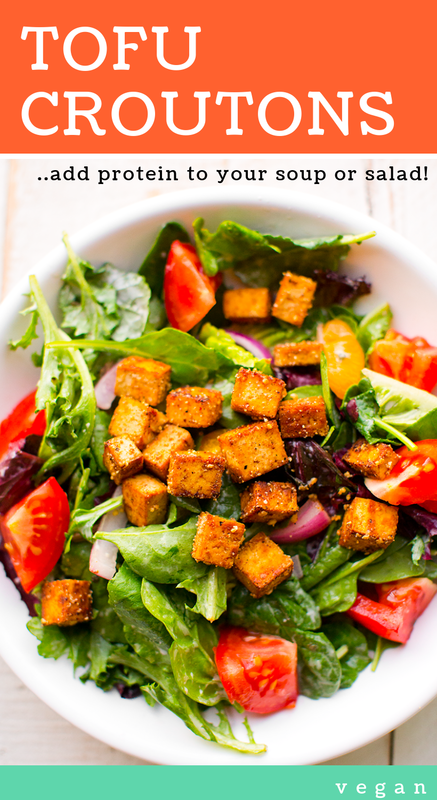 * Make sure you have properly squeezed as much water out of the tofu as possible. 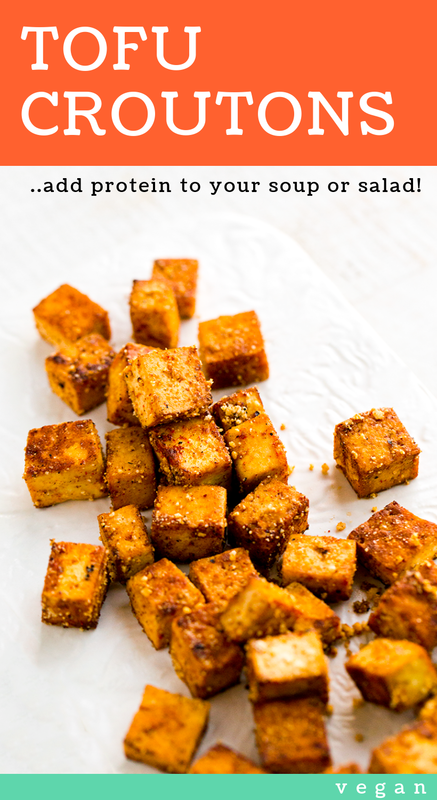 Dry and firm tofu cubes work best for this recipe. 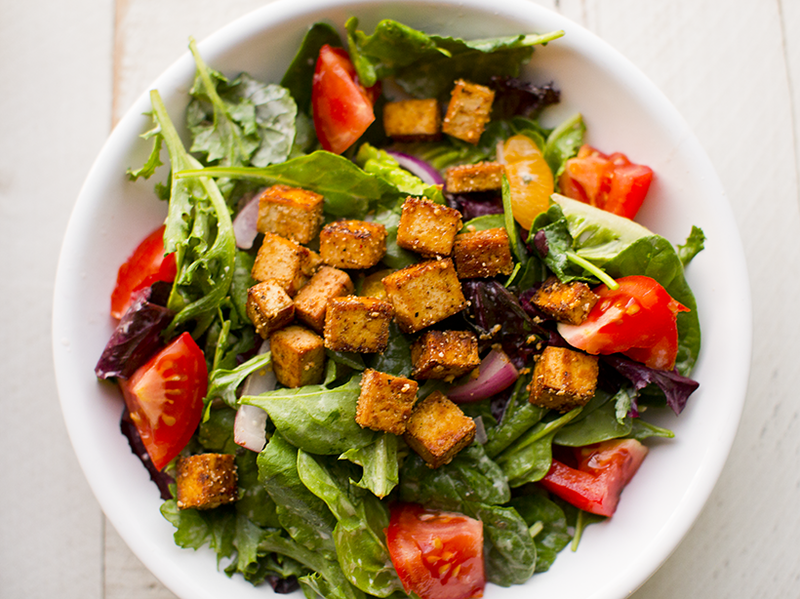 You do not want mushy croutons! * High heat helps to quickly sear the edges and give a golden brown color. * Don't add the spices too soon. 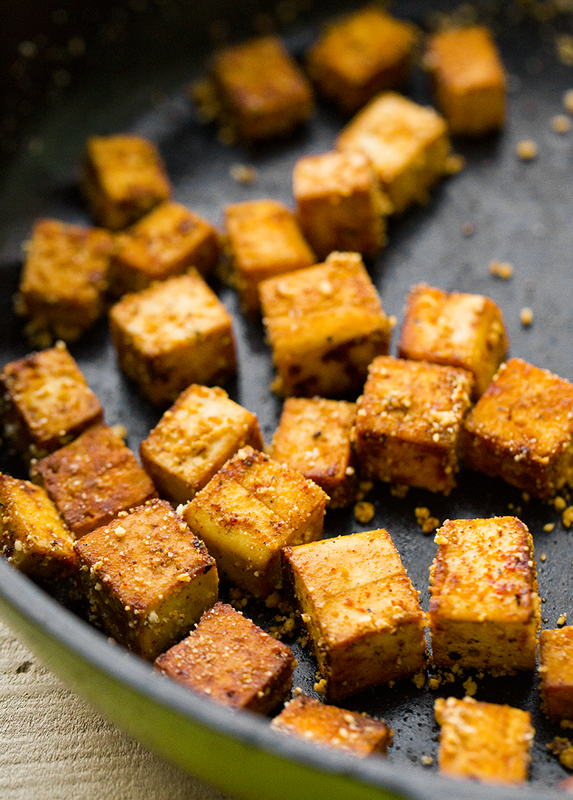 Allow the tofu to mostly cook through before adding in any delicate spices - you don't want the spices to burn. 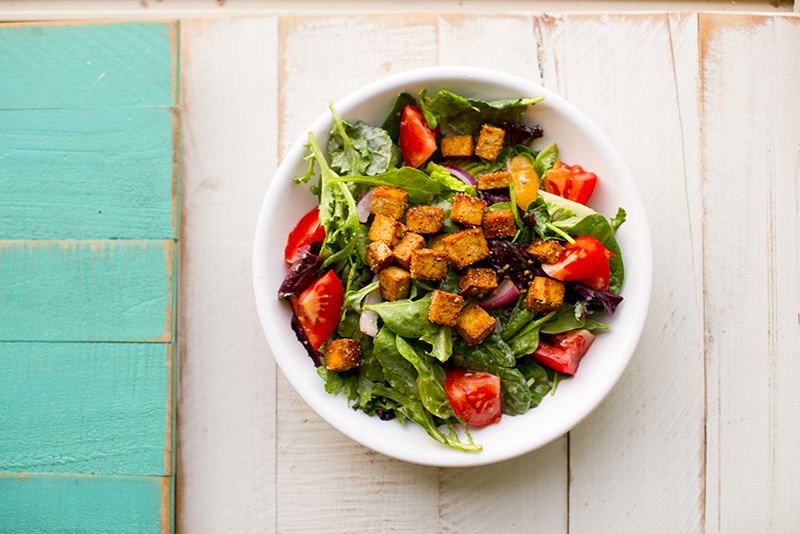 * Want a sweeter crouton? Add a heavy handed drizzle of the maple syrup for a stronger sweet flavor. * If you want a different sort of salty flavor, you can use tamari in place of salt - this will give a more umami-ish flavor. 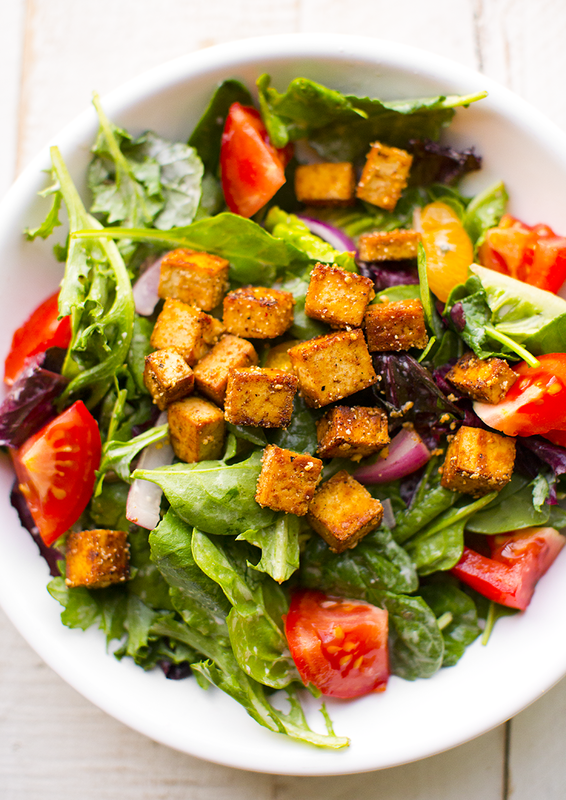 What vegan Parmesan should you use? For this recipe, the GoVeggie vegan Parm sprinkle works really well because it has a strong aged Parm flavor. Use that one if possible! If you don't have that one on hand, you can always make your own vegan Parm. 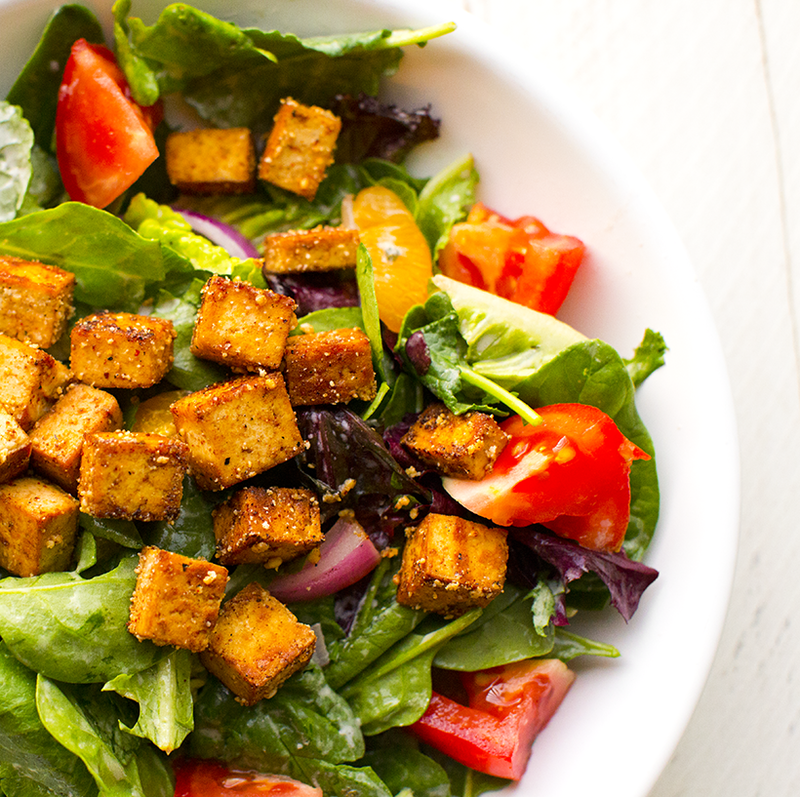 This fall salad would be delicious topped with these croutons.